For Herbalife Member/Distributor enquiries please contact Herbalife HQ on 0345 056 0606. All references to weight management relate to the Herbalife Weight Management Programme which includes, amongst other things, a balanced diet, regular exercise, an adequate daily fluid intake, nutritional supplementation where required and appropriate rest, individual results will vary. Fill in your email + 4 digit code. Fill in your email to recover your 4 digit code. Please fill in name and email address. We give you 7.5% over the value of your order back as VIP Credits to your account. For example: On an order of £80 you would receive £6 VIP Credits. These credits will automatically be added to your account. You can see your VIP Credit balance in the "My Account" section or on the "Shopping Cart" page when logged in. You can use your credits whenever you want! With every order you can choose to save up or use the credits that you have accumulated as a discount. VIP Credits can only be used to a maximum discount of 50% of your order. If you have £50 VIP Credits and your order is £80, the system will only allow you to use £40 of your credits as a discount. £10 will be saved on your account and can be used later. If you save your VIP Credits to the sum of £100 we will give you an extra £50 for FREE. Per account we only give away 1 bonus. If you have any questions, please contact us at info@herbaonline.co.uk. You can login right now! You are already registered on our website, which is great! Thank you for registering with HerbaOnline.co.uk, you now have full access to our website. Oops! You're not registered yet..
You just tried to login with Facebook, but to login you need to register first. Don't worry, this is very easy and can be done by clicking the button below. Please proceed with payment or cancel order before you take further action. No more unpaid orders to show. Click here to close this window and proceed. Welcome to our new website. Fully compatible on laptop, tablet and mobile. All to give you a better user experience, please enjoy! As a Herbalife member (or Herbalife Distributor) you are supposed to order directly from Herbalife. 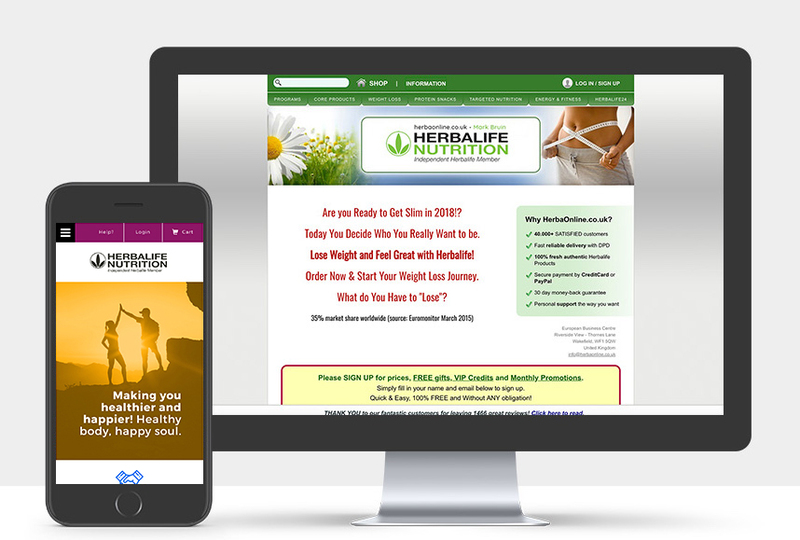 This you can do at https://uk.myherbalife.com with the login details they have provided you. If you have any questions regarding your MyHerbalife account, please contact Herbalife directly. They can help you as a Independent Herbalife Member with everything you need. +44 (0) 345 056 0606. Thank you for your registration, there is only 1 step left. Please check your inbox and click the link in the email to activate your account. You have already registered with us, but you haven't activated your account yet. Please check your inbox and click the link in the email to activate your account. You have successfully activated your account, but it is awaiting verification by our team. The email address used is already registered on our website. We have resent your login details to . Please check your inbox to login to your account. Please check your inbox, we have sent your login details to .